The GEORGIA House approves HB 213, which would allow Peach State farmers to cultivate hemp for use in Cannabidiol, or CBD, oils and other products. It moves to the Senate (ATLANTA JOURNAL-CONSTITUTION). The WASHINGTON House approves HB 1065, which bars patients from being subjected to so-called “balance billing,” when patients receive a bill for the difference between what a provider expects to be reimbursed from an insurer and what the insurer thinks they should pay. It moves to the Senate (ASSOCIATED PRESS). 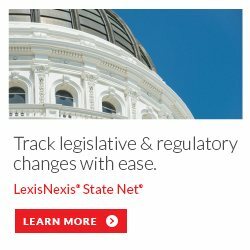 The GEORGIA Senate approves SB 56, another measure to bar the practice of balance billing. It moves to the House (ATLANTA JOURNAL-CONSTITUTION). The GEORGIA House approves HB 324, which would allow for the licensing of 60 dispensaries that would be legally able to grow, manufacture, test and distribute medical cannabis. It moves to the Senate (ATLANTA JOURNAL-CONSTITUTION). The ARKANSAS House approves HB 1290, which would allow Razorback State pharmacists to dispense birth-control pills to customers who lack prescriptions from doctors or nurse practitioners. It moves to the Senate (ARKANSAS DEMOCRAT & GAZETTE [LITTLE ROCK]). The WASHINGTON House approves HB 1638, a measure that would remove parents’ ability to claim a personal or philosophical exemption to vaccinating their school-age children for measles. It moves to the Senate (SEATTLE TIMES).